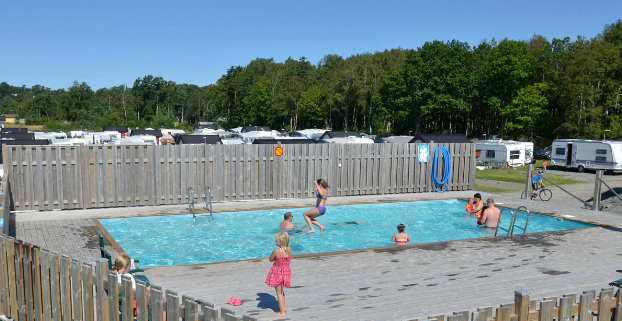 Stråvalla Camping enjoys a location that is sheltered from the wind with seaside swimming and a sandy beach within approx 1 km as well as a pool on the campsite. Distance to shop and other services, approx 2.5 km. Public transport within 500 m.
Stråvalla Camping is a campsite for families and senior campers. It aims to keep a high standard of hygiene areas and camping pitches. Pets (dogs and cats) are welcome. They must be kept under control, however, so they do not disturb other guests.